On the day we launch our Flood Action Campaign, John Curtin, the Environment Agency’s Executive Director of Flood and Coastal Risk Management writes about the importance of being #floodaware. In the last month alone we’ve seen the devastating impact that floods have around the world. In early October, on the French Riviera 19 people died in flash floods, 3 were killed when their retirement home was overwhelmed. In South Carolina, 6 were killed in traffic incidents and 11 were killed in drowning incidents after driving through high water. It’s easy to think that because these tragedies are miles away they won’t happen here. If you haven’t had your world turned upside down by the weather you might not know that 5.8 million properties are at risk of floods in England - roughly 1 in 6 homes and businesses. Having your house and community flood is a miserable experience. In 2013/14 we saw the wettest winter for 250 years and the largest coastal surge in a generation, which led to 3 months of floods. Over 7,800 homes and nearly 3,000 commercial properties flooded. Fortunately, no one died. 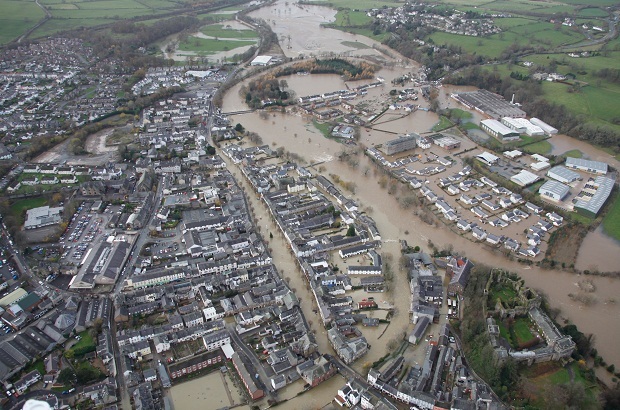 The Environment Agency’s work, with Local Authorities and local Internal Drainage Boards, meant that 1.4m properties were protected, yet the storms still emphasised the risk we face in this country from flooding. Every £1 we spend on reducing flood risk to communities saves £8 that would be spent repairing damages. Our priority is to reduce the risk of flooding for people, homes, businesses, and farmland. 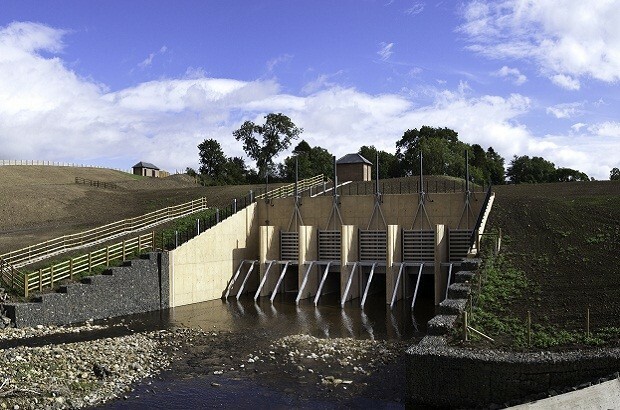 We work with the Met Office to predict when floods will happen; we construct large scale flood barriers and work with nature to reduce flood risk. It’s almost a year since the Government announced a 6-year £2.3 billion flood defence programme that now includes more than 1,500 schemes. There is no way we can completely eradicate flooding from the UK or remove flood risk entirely – but we can be better prepared for when they occur. Today, we launch our Flood Action Campaign to encourage everybody to be #floodaware. We all have a role to play in keeping our homes, families, and communities safe. You can sign up for free flood warnings for your area: do so here online or call Floodline on 0345 988 1188 to sign up. You can also get Facebook flood alerts here and we can send you Twitter Alerts through our national Twitter accounts. You can create a flood plan – we provide personal or business flood plan guidance - to save belongings or equipment and help you can get back into your home or business more quickly. Preparing for floods isn’t just about big engineering and visible concrete structures. We work with others to ensure that flood defences blend in with the natural environment. 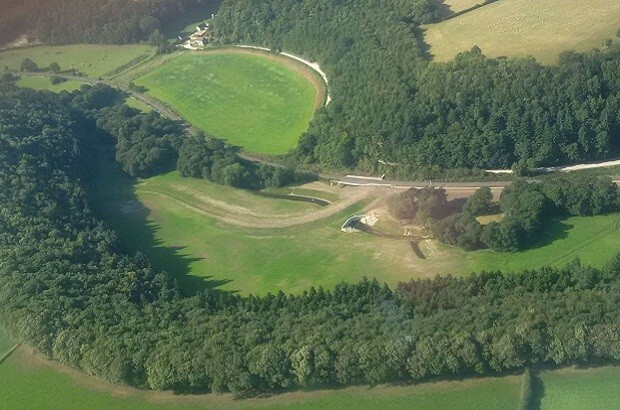 In Pickering, £2 million in Government funding has created an innovative flood scheme involving planting trees, constructing ‘woody debris dams’ in becks and streams and establishing no-burn buffer zones. These measures help to hold water in the landscape and delay its passage downstream - which helps protect people and properties. In a small way this may be something we can all do in our gardens at home. We have worked with the Royal Horticultural Society whose Greening Grey Britain campaign is raising awareness of the importance of our green spaces. 80% of UK residents live in urban areas and 25% of land in cities is made of gardens. UK gardens contain 29 million trees. These help to reduce surface water flooding by intercepting intense rain and reducing pressure on drains. A beautiful garden can also minimise your flood risk. 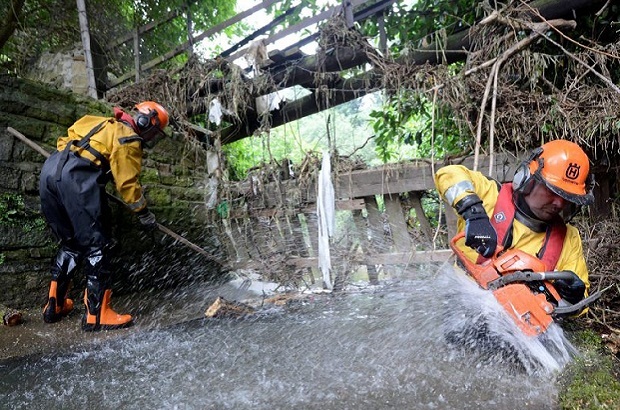 Environment Agency staff clearing a watercourse of debris from floods in Lanchester, County Durham in 2012. If you’re a business or an organisation that supports our campaign you can use the campaign materials online and in your communications, and share them with your customers and networks.